Air Conditioning Installation - Harris Air Conditioning Inc.
Harris Air Conditioning is a company you can trust for the replacement or installation of your new air conditioner. 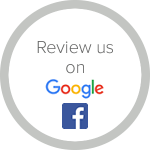 We are backed by over 50 years experience and a high customer satisfaction rating. Our AC techs are knowledgeable and highly trained in their field and Ask the Seal certified. While replacing your air conditioner can be a hard decision to make, not to mention expensive, it’s important to know the benefits of replacing your air conditioner when your AC system is old, not working or it’s efficiency has declined. With the information we can provide about the age and wear on your current system, you’ll be able to decide if AC repair is the best option, or if it’s time for an air conditioner replacement and installation. If you’re located in Mount Dora, Eustis, Tavares, Leesburg, or Apopka, call Harris Air Conditioning today to see if a new air conditioning and heating system is right for you. 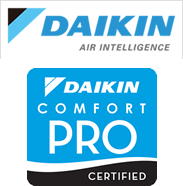 Our expert AC techs will get your air conditioner installation done right the first time. We offer a service warranty on your installation and free estimates on AC replacement units. Or, give us a call and one of our air conditioning and heating experts will assist you. Is It Time to Upgrade That Old HVAC System?